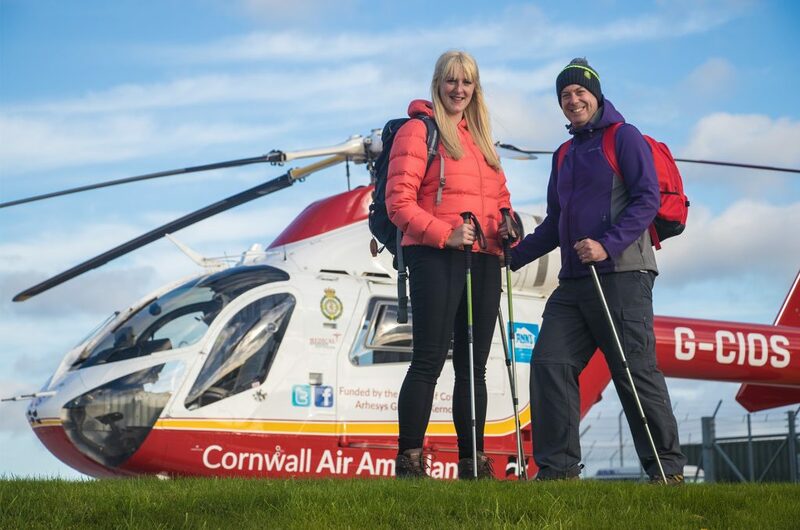 Conquer mighty mountains, dense forest and take in those once-in-a-lifetime views with a Cornwall Air Ambulance 2018 challenge event. For 2018 Cornwall Air Ambulance has introduced a new structure to its challenge events. The Three Peaks Challenge will be run as the main challenge event, plus the charity is offering you the chance to take part in a global challenge event in aid of Cornwall Air Ambulance. This is your opportunity to tick goals off your bucket list and experience some of the world’s most iconic landscapes, while supporting the life-saving charity. Conquer the 5,895 metres of the world’s highest free-standing mountain, Mount Kilimanjaro on a stunning 7-day trek through Africa. Discover the lost city of Machu Picchu on an incredible 5-day trek through Peru. Cycle through the tropics of Costa Rica from coast to coast on a 286-mile 7-day adventure. Trek the Great Wall of China on an unforgettable 5-day trip. Cycle from coast to coast exploring the beauty of the UK on a 136-mile trip from the Irish sea to Tynemouth. To find out more about the challenges and to sign up, visit https://cornwallairambulancetrust.org/get-involved/challenges/ or you can call 01637 889926 or email becky@cornwallairambulancetrust.org.